Channel a warming ambience in your interior with the Amsterdam wall light from Eichholtz, inspired by vintage Dutch lighting. The candle inspired lighting is housed within a contemporary circular fitting with a convex glass exterior to reflect light at all angles. A tapered roff extends to perforated detailing and the exterior is available in a choice of polished stainless steel or brushed antique finishes. 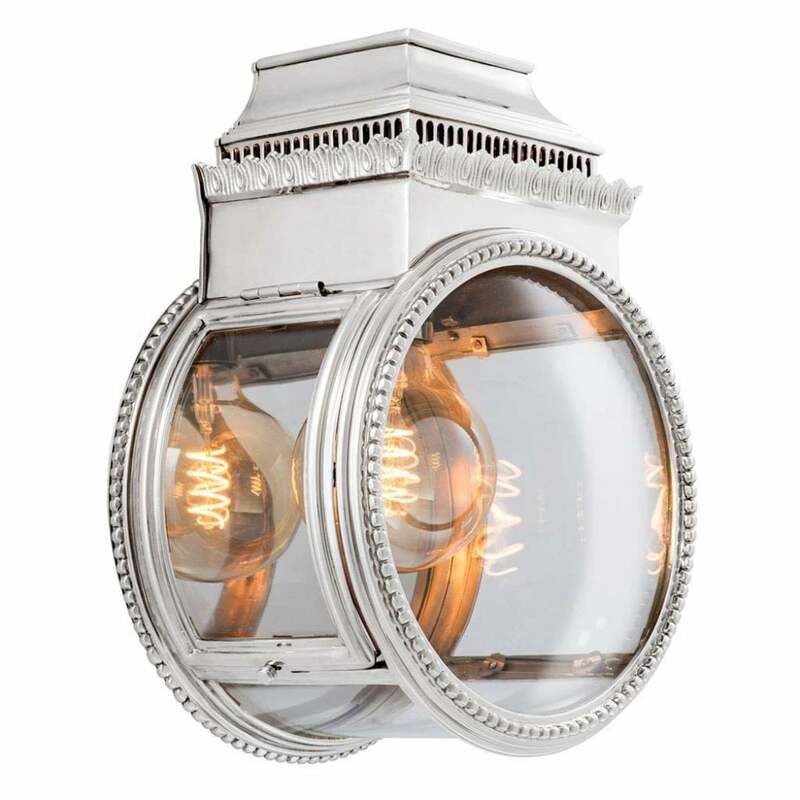 Style in an industrial inspired interior for a dramatic impact or in a narrow hallway for added illumination.